Halloween is coming soon and it falls on the 31st of October every year. 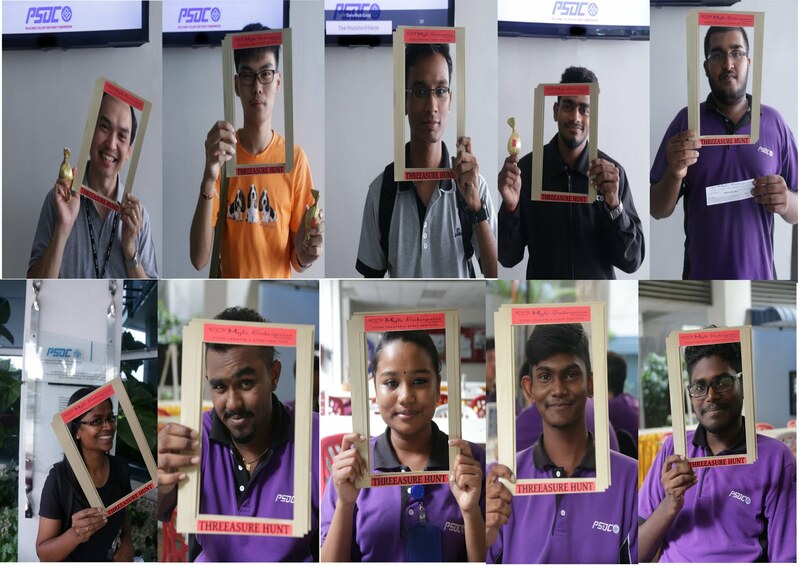 We previously organised a Halloween-themed team building for one of the multi-national corporations from U.S.A. that has a branch in Penang, Malaysia. One of the activities for the team building included a Halloween costume-making game. 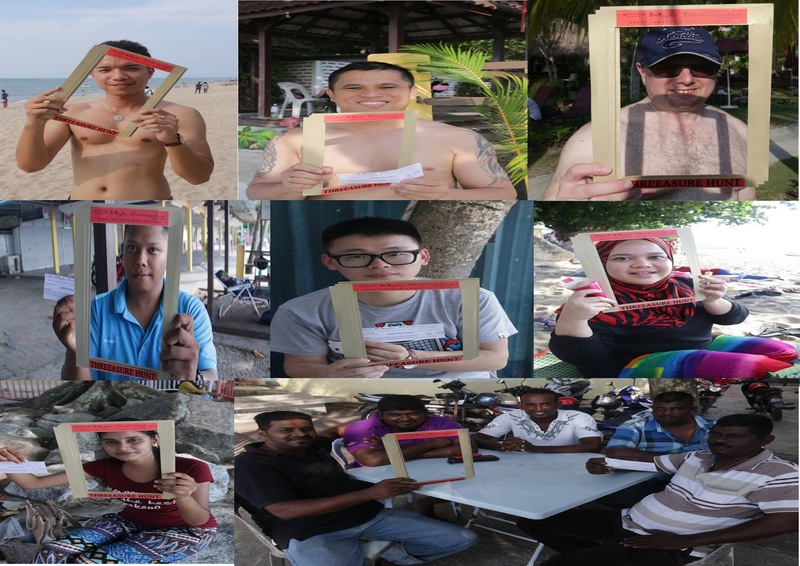 Participants were divided into groups of 4. They were then given materials such as cloth, glass papers, newspapers, strings, marker pens and face paint to work with. The participants were to create a Halloween costume within a given time frame. 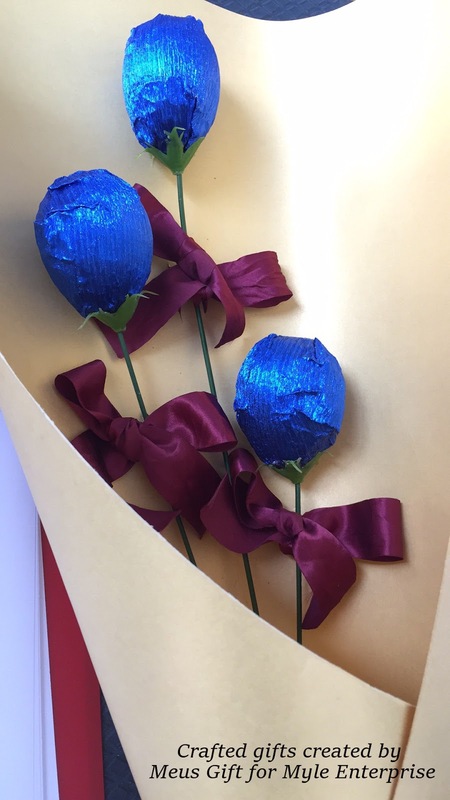 This costume is to be worn by one of the participants and to be showcased during a catwalk session which took place after the costume making session. The participants in each group have to discuss and make the costume together. This enhances their co-operation skills and team spirit. Talk about spirit during Halloween but this team spirit is good for team building. The colours of the materials varied for each group. The materials were packed into different bags, which the groups then drew lots to see which bag they would get. The groups were also given a chance to send one of their participants to negotiate with any another groups to exchange materials. The participants were given time to practise their walk after the costume making session. They were to create a walk that would depict their costume well and to walk the catwalk individually. After that, the participants walked another round of catwalk with their group members. The group with the most creative walk will be given higher marks. The group that won this game was the group with the highest mark in total for the costume, the catwalk and the overall group co-operation. The participants had a lot of fun and were seen laughing throughout the sessions. This was just one of the games held during the team building session that day. We conducted other activities and games during that event. If you are interested to hold your team building event, please do not hesitate to contact us to organise for you. We can also conduct games for your events, which can be an activity for your event which can be other types of events apart from team building events. It can make your event more interesting, fun and let your participants have a good time. 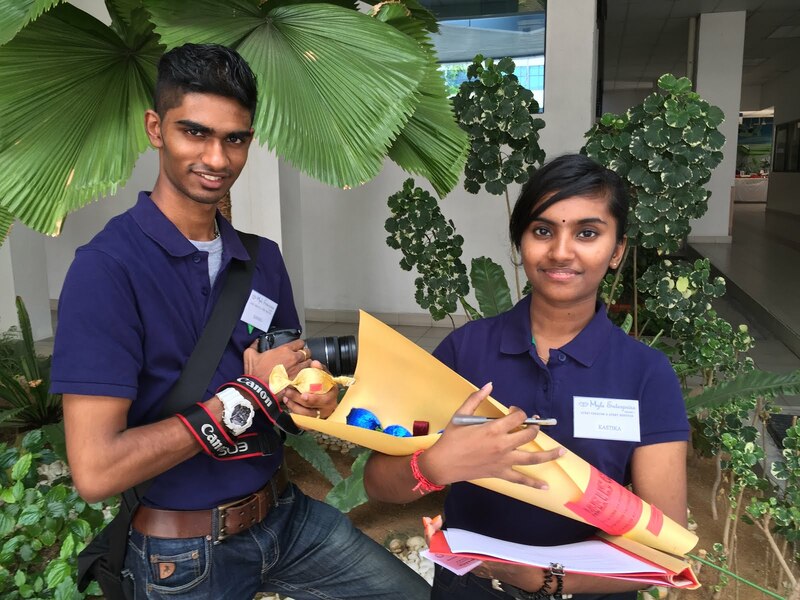 Myle Enterprise’s Threeasure Hunt event was held on 25 March 2016 (Friday) and 27 March 2016 (Sunday), where details on this event was written in our last blog post. 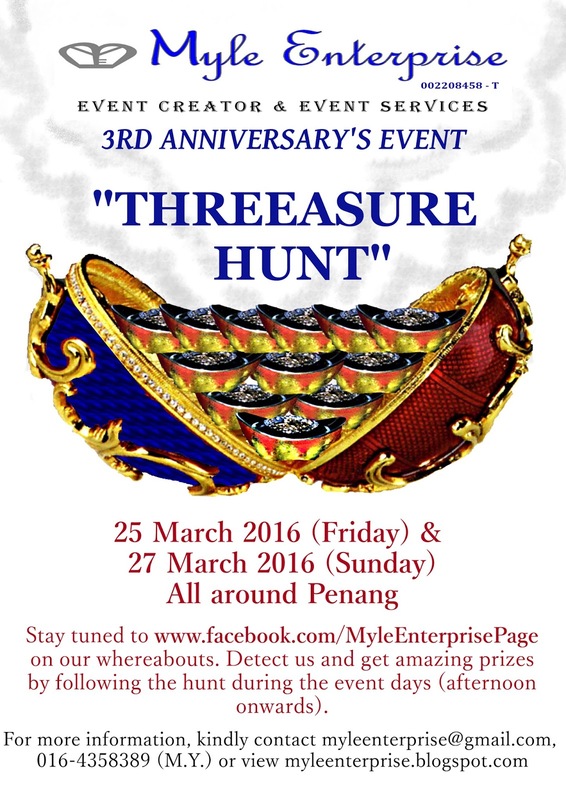 This event is called Threeasure Hunt (pronounced “treasure hunt”) because Myle Enterprise is three years old, hence the event is called THREEasure Hunt. 27 March 2016, which is the second day of this event, was also Easter Day and according to German folklore, rabbits will be bringing eggs or hiding them as treasures for people to find. Our event revolves around eggs, hunting and on our second day of our event, we even have our event crews dress up as bunnies to give out eggs-citing prizes. 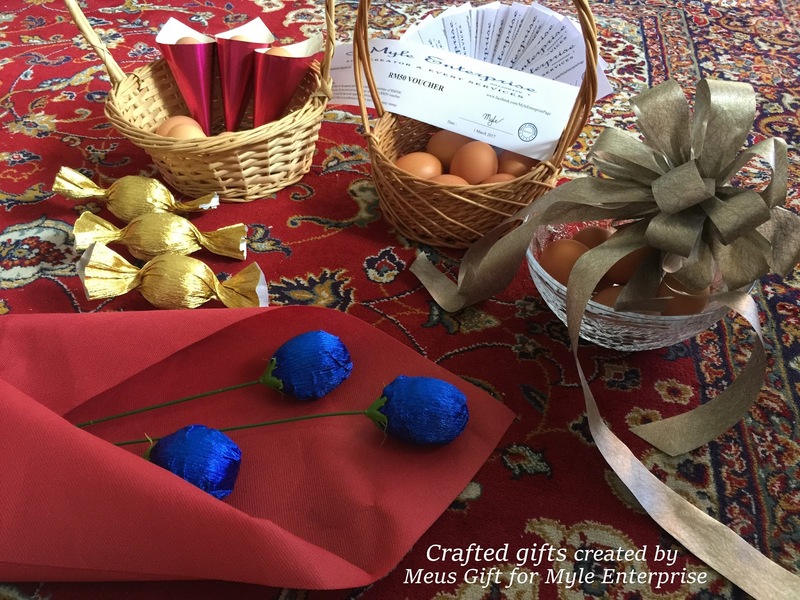 Some of our prizes were made out of edible eggs and they were created by Meus Gift, which creates gifts for events, for example door gifts. Clockwise from lower left : Flower bouquet made out of eggs; Golden egg candy; Olympic-torch inspired egg holder with egg inside; Myle Enteprise cash vouchers with eggs in a basket; and eggs in a glass bowl decorated with a big ribbon. Flower bouquet made out of edible eggs. 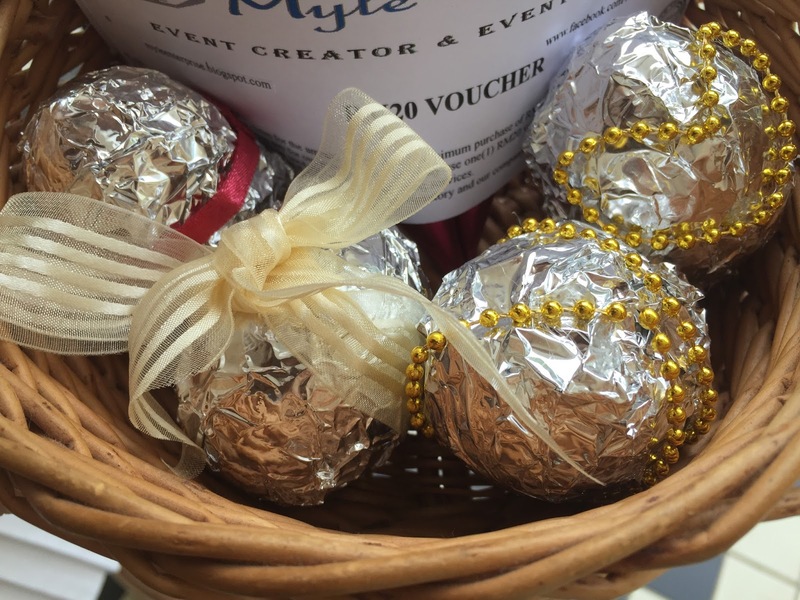 Edible eggs in silver decorated wrappers. Available exclusively from Meus Gift. 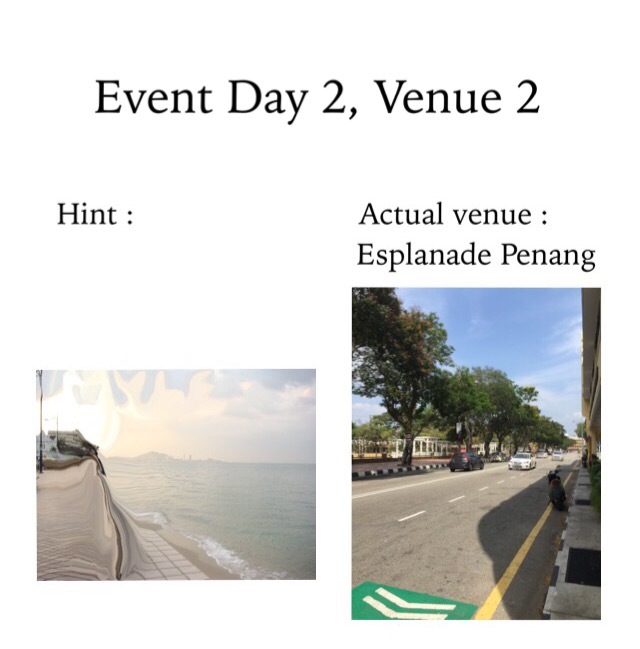 How this event worked was like this – we were at different venues in Penang island during different times on 25 March 2016 and 27 March 2016 (afternoon onwards). 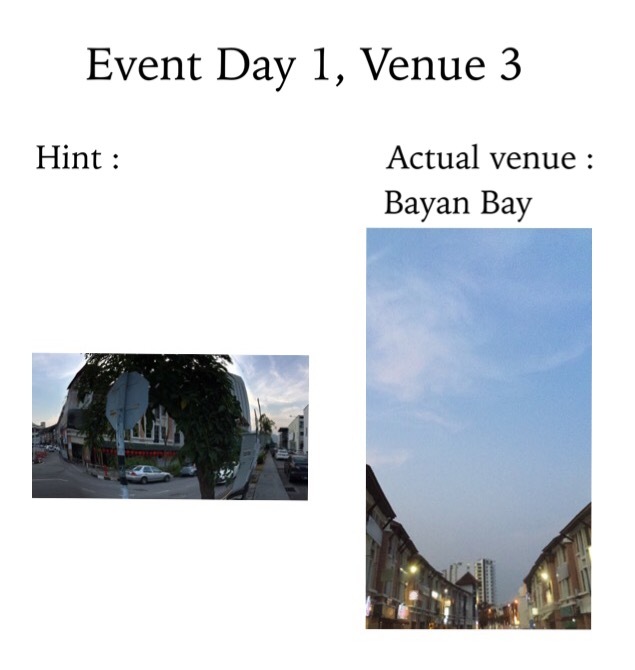 Before the event began on each day, we posted up hints on where the venue of this event will be in our Facebook event page and those who were at the correct venue where we were at, will just need to register as a participant, take a picture and they get to take home a prize. The participants were 18 years old and above. 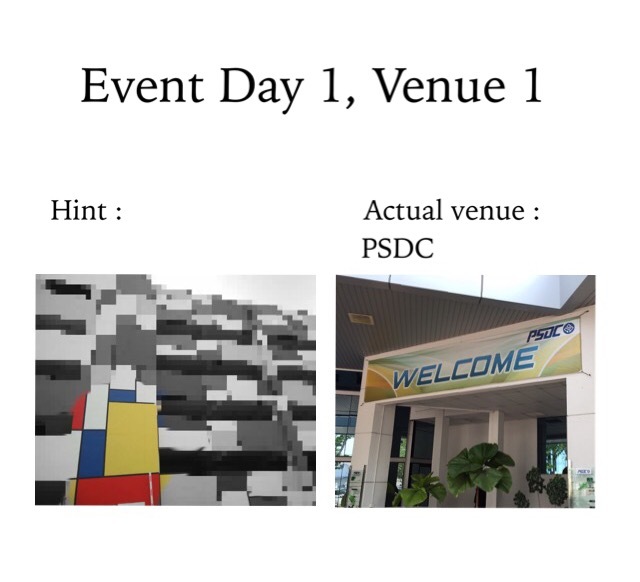 Our first venue on the first day of event was at Penang Skills Development Centre (PSDC) and we were there from 4pm until 6pm. The lucky participants from Event Day 1, Venue 1. Our next venue was Bay Avenue and we were there for half an hour. The lucky participants from Event Day 1, Venue 2. Our last stop for the first day of this event was Bayan Bay and we were there for half an hour. The lucky participants from Event Day 1, Venue 3. Here is a picture of our event photographer and crew holding the prizes which were given out on the first day of our event. Event photographer and event crew on our first day of event, holding some of the prizes to be given out to the participants. These 2 event crews were very dishonest as they stole the event uniform (the t-shirt) and didn’t return it to us. We won’t recommend to take their services or hire them for jobs. 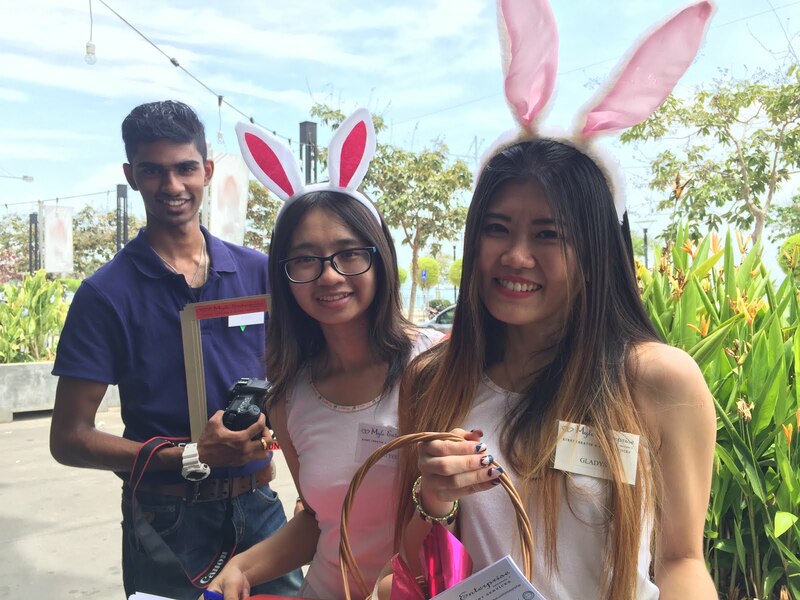 On the second day of our event, our event crews dressed up in bunny-styled attires. 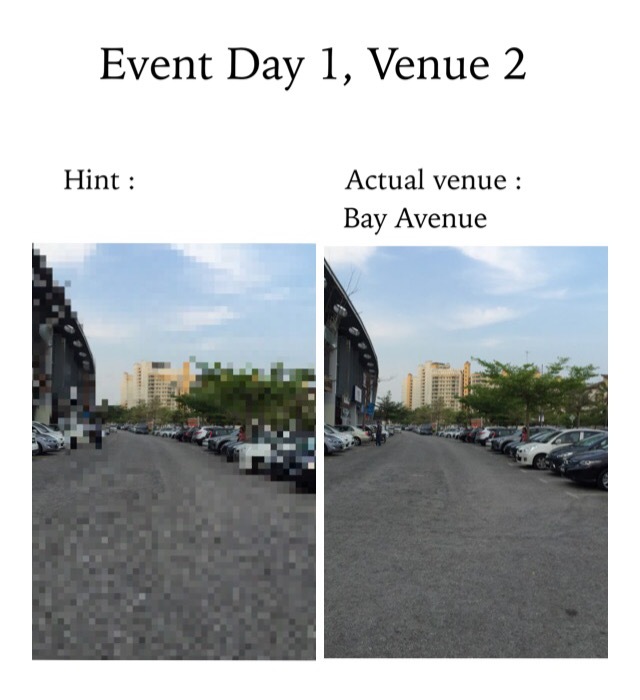 The event was from 1pm until 8pm. Our event crews in bunny-styled attires posing with our event photographer. 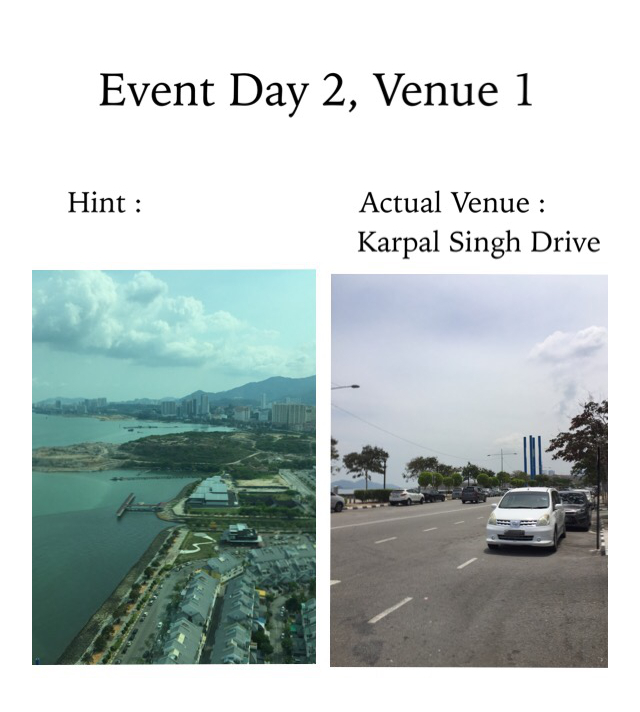 The first venue on our second day of our event was Karpal Singh Drive and we were there for an hour. 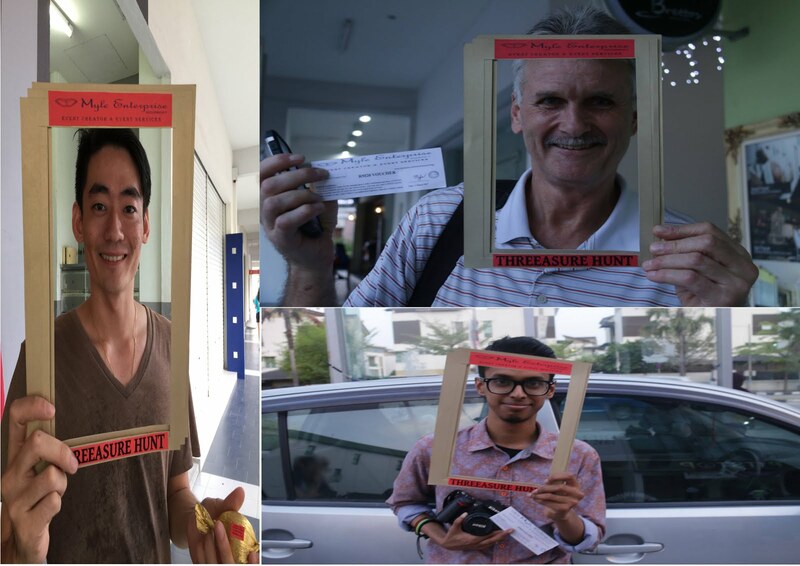 The lucky participants on our Event Day 2, Venue 1. 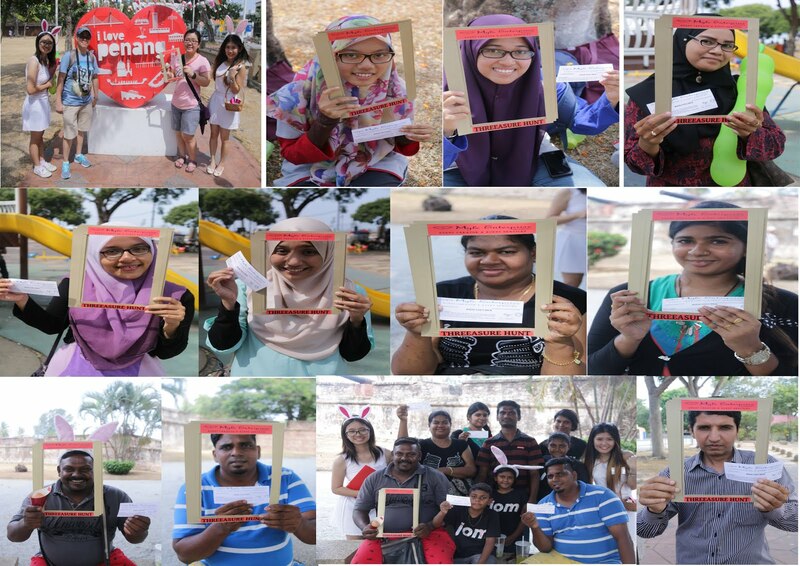 The second venue on the second day of this event was at Esplanade Penang (Padang Kota Lama). It was a sunny and hot day. There were tourists and locals seen at this venue. We were there for an hour. The lucky participants on Event Day 2, Venue 2. 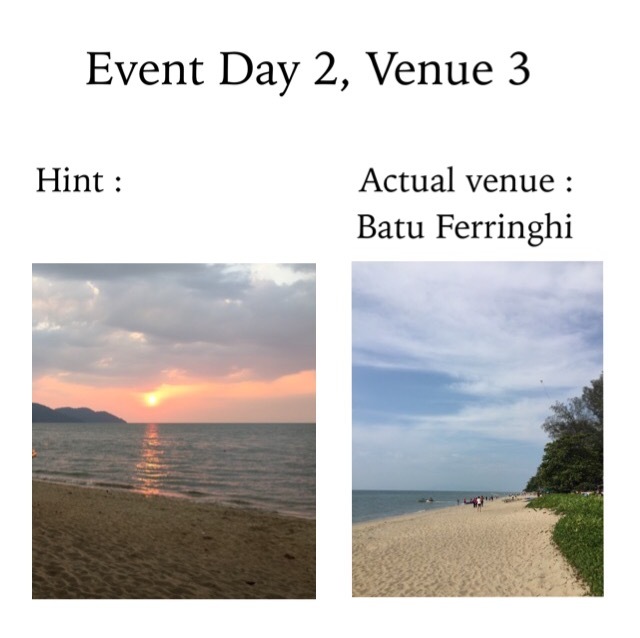 The third venue on our second day for this event was Batu Ferringhi. Penang is a paradise of sun, sand and beach. Many people were seen lounging on the sandy beach of Batu Ferringhi and some were swimming in the water. There were people playing water sports like jet skiing, parachuting and some were having their food at the stalls in Batu Ferringhi. We were there for an hour. 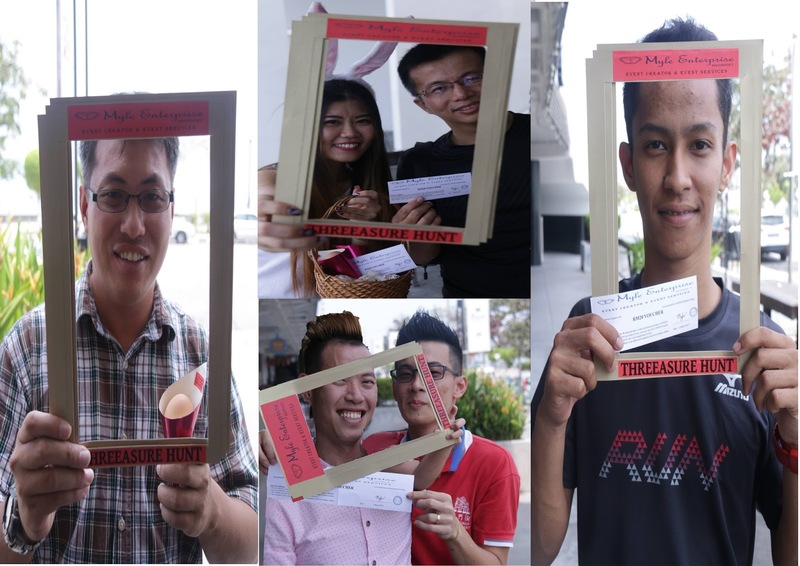 The lucky participants on Event Day 2, Venue 3. 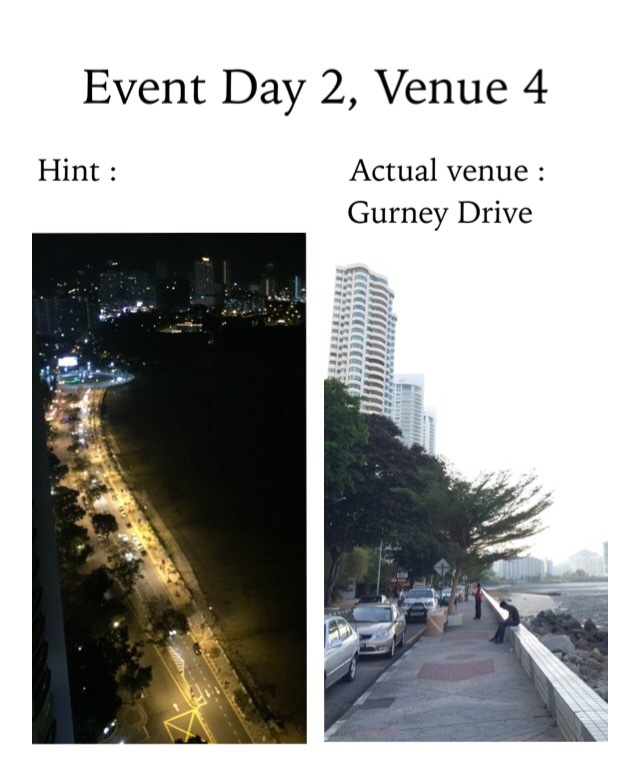 After that, we traveled to our last venue for the second day of our event, which was Gurney Drive. Some were resting while enjoying the view of the sea while some were found jogging along the stretch by the seaside. Quite a number of people were walking around Gurney Drive, from the shopping malls to the hotels, the residences and eateries. We were there for one and a half hours. 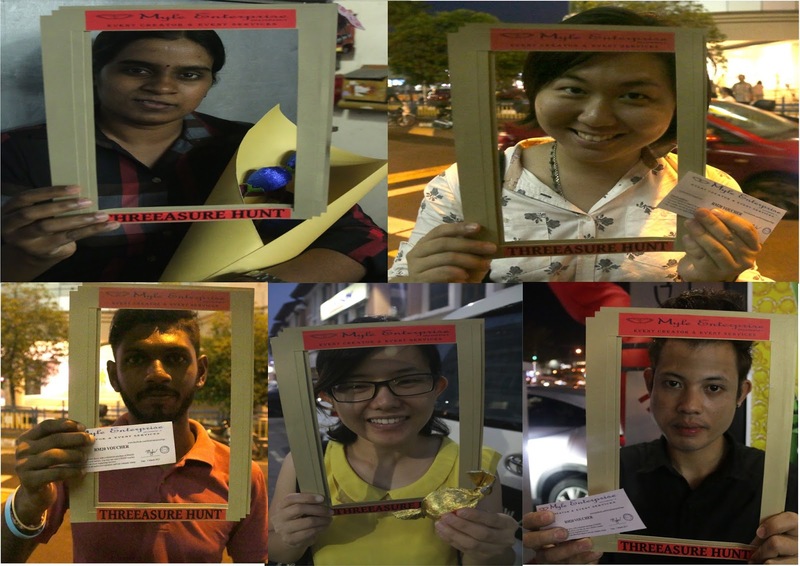 The lucky participants from our Event Day 2, Venue 4. More pictures on this event can be seen in our Facebook photo album on our Facebook page at www.facebook.com/MyleEnterprisePage. It was nice to meet all the participants of this event and we look forward to hearing from you on future events. 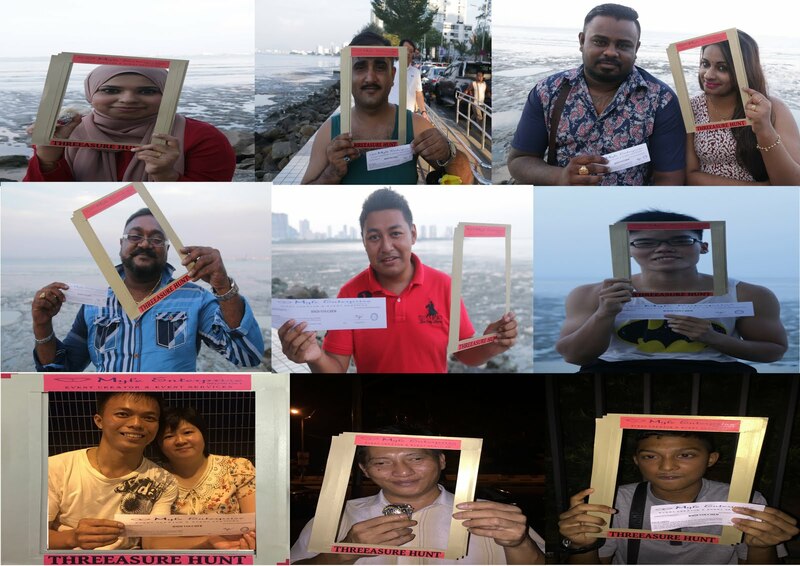 We thank all the participants for taking part in this event and thank you to the event team members as well as those who have helped us in one way or another to make Myle Enterprise’s Threeasure Hunt a success. See you at our next event.